Think your food manufacturing facility is too small for automation? It's time to think again. Today's collaborative robots quickly, easily, and cost-effectively automate secondary food-handling processes such as quality control, labeling, packaging, and palletizing. They're easy to program with no engineering experience, and they can pay for themselves in less than a year. 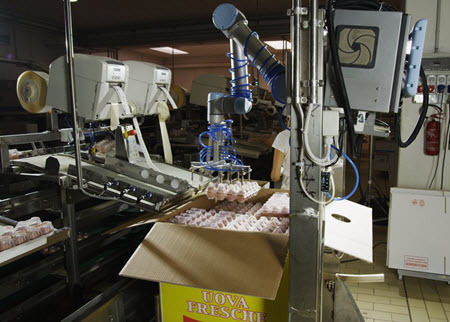 Universal Robots recently did a webinar with Food Manufacturing Magazine to share their insights on these issues. You can watch it here.